FAQ : How does a Fuel Pressure Regulator work? And what makes this one so special? Should I upgrade my Fuel Pressure Regulator? We often get questions about our Fuel Pressure Regulator, how it works, what role it plays in a fuel system and what it is that makes us promise that it is suitable for even over 1000 HP. Here we will go through the basics, how it works, how it functions in a fuel system and explain the different parts. Many of the available online guides online are outdated, describing older designs and many times they do not apply to modern injection systems. We choose to make our own guide, with sleek and easy-to-understand graphics to fill up the gap. What is the purpose of a Fuel Pressure Regulator? The Fuel Pressure Regulator is a must have item for any EFI system, without it, the fuel rail will not be able to build up enough pressure to support the injectors with the sufficient amount of fuel, the fuel will instead flow straight through and not reach the injectors. On the other hand, blocking the pass-through to the fuel tank off completely, the fuel pump will try to force too much fuel into the injectors which will cause them to fail. To accommodate for a successful fuel and air mixture, a proper fuel pressure is required in all situations, both at low revs and high revs, regardless of the power output. This is where the fuel pressure regulator is doing its job, to adapt the fuel supply to the fuel demand. What is a Fuel Pressure Regulator and how does it work? A fuel pressure regulator is used to maintain steady fuel supply, even during dramatic changes in fuel demand. The fuel injector has two sides, one side of the injector is under pressure from the the fuel rail and the other side is air boosted by a turbo or a compressor. Ideal ratio is a 1:1 ratio. The fuel pressure regulator regulates the fuel pressure against the air pressure/boost, this leads to that the fuel injector can maintain the perfect ratio between fuel and boost. The fuel pressure regulator consist of a diaphragm that controls the bypass valve “ball seat” and as the picture below illustrates it can open and close in order to adjust itself for a steady fuel delivery. When pressure (boost) is applied to the top of the regulator, the diaphragm, which is attached to the bypass valve, a spring forces the diaphragm down and reduces the amount of excess fuel, this makes the fuel pumps work harder while the fuel pressure increases linearly towards the increasing boost pressure from the intake manifold. How do I know what fuel pressure my regulator gives? Like most regulators our FPR provide a convenient pressure port for attaching a fuel pressure gauge or alternatively, a fuel pressure sensor for digital output. How does the diaphragm move within the Fuel Pressure Regulator? Click on image for high resolution .pdf. Take notice of the different coloured flow marks. What are the essential parts of a Fuel Pressure Regulator? Click on image for high resolution .pdf. What is the difference between this Fuel pressure regulator and a cheap copy? A larger fuel pressure regulator can handle more flow and a higher pressure while maintaining the 1:1 ratio. Often, the more expensive fuel pressure regulators can withstand more types of alcohol fuels, like ethanol and methanol, while ae cheaper regulator exposed to those kinds of alcohol fuels often gets a broken diaphragm which could cause serious damage to your engine in result. 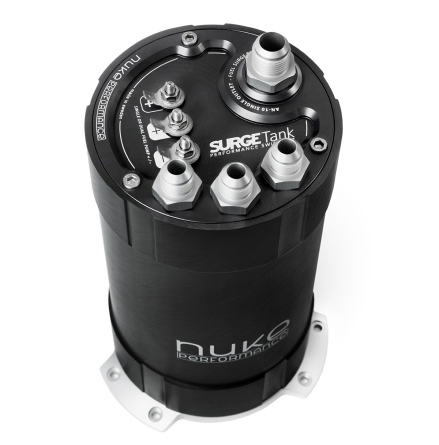 We have designed our FPR for high demanding setups, with the same hallmark as all our products. We even have made this 1000HP+ approved. How can you ensure that it is capable of over 1000 HP? We have designed our fuel pressure regulator focused on producing the best, most reliable and accurate regulator on the market. And with well over a thousand of regulators sold, thousands and thousands miles of drag racing, drifting, track days and on the street, we can guarantee that our regulator is 1000 HP approved!
" All internal components are over dimensioned in combination with high quality material and the fact that we manufacture our fuel pressure regulator in house, that is what makes our regulator something very special. " 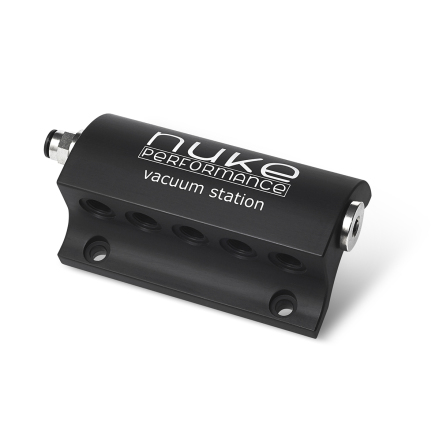 Please send us your feedback and input to tech@nukeperformance.com.